Indulge yourself in this thoughtfully built 1968 lakefront cabin. 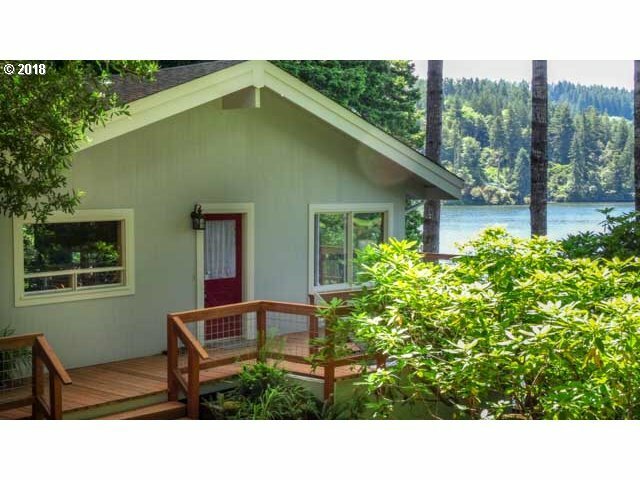 Open timber beams & gorgeous lake views, you will reap the relaxing environment of the great Northwest. The finest of wood finishes inside & out were used in constructing this vintage cabin. The retro kitchen is enchanting. Views through expansive windows & full surround deck. Most furnishing included. So bring your overnight bag and "live the life".